Who better to start off this new segment than Sheed? Drafted 4th overall out of UNC in 1995 by the Washington Bullets, yes they went on to become the Wizards, Sheed went on to play 16 season in the NBA with the Bullets, Portland Trailblazers, one game with the Atlanta Hawks, Detroit Pistons and Boston Celtics. A Philadelphia native, Rasheed attended Simon Gratz High School where he drew the attention from the University of North Carolina. In the 92-93 season, Wallace was named by USA Today the High School Basketball Player of the Year. Rumor has is that Wallace’s coach would only play him for one half of the game, yet Sheed would still average 19 points. He was one of many future NBA greats to play in the McDonald’s High School All American game, which Sheed fouled out, something most players can’t say about their experience. 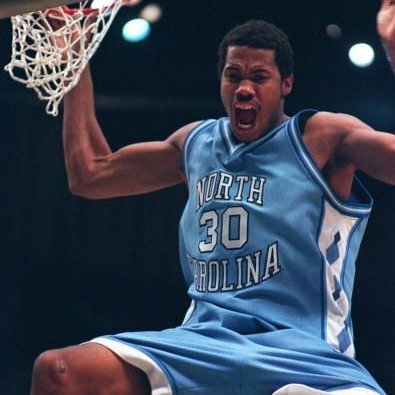 While at Carolina, Sheed excelled. He helped the Heels reach the Final Four in 1995 alongside Jerry Stackhouse. Sheed also holds the all time shooting percentage record for the ACC with 0.635. Off the court Sheed would hone his videogame skills at the student union building. Apparently Sheed had a nack for some Mortal Kombat II and NBA Jam. Reporters would have to seek him out to get interviews, which most likely annoyed the man while he’s trying to unwind. Sheed spent just a short time at UNC, but definitely made a name for himself. 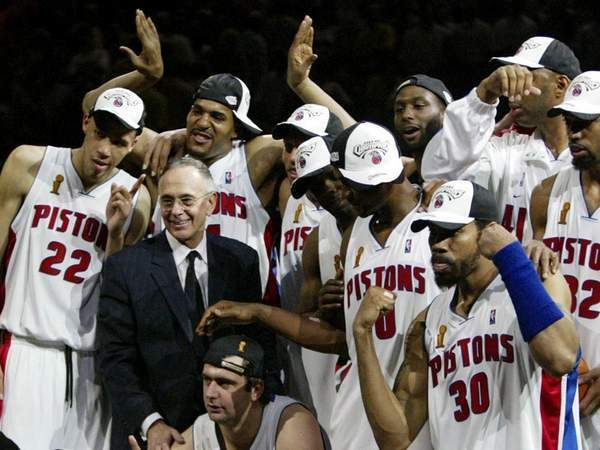 He was drafted in 95’ by the Bullets, which began his 16-season career. After a short stay in Washington, where he was named to the Rookie All-Star team, Sheed was traded to the Portland Trailblazers. His years in Portland could be considered some of his most memorable while in the league. This is where he would set the record for most technical fouls in a season with 41. Sheed holds the all time NBA record for techs with 304. 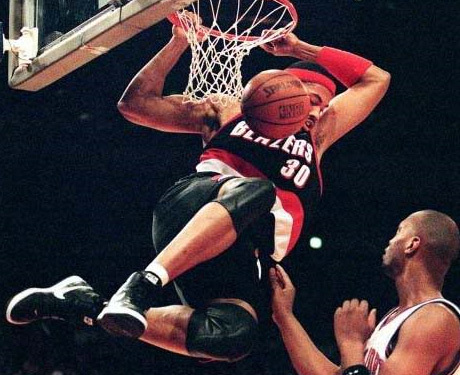 In Portland, Sheed’s notoriety grew. When asked if he could find a good cheesesteak in Portland, the Philly native appropriately replied “Hell no!” The team would be dubbed the “JailBlazers” because of the roster’s laundry list of off the court antics. The roster included: Ruben Patterson, a naughty Shawn Kemp, Damon Stoudamire and Zach Randolph, who, on paper made a pretty damn good line up. The Jailblazers looked great on paper, which later was rolled into a fat spliff. The project in Portland however did not work and Sheed was traded to Atlanta, where he played one game–one pretty good game (20 pts 6 rebs 5 blocks 2 assists & 1 steal). After the layover that was his career in Atlanta, Sheed was a Detroit Piston. Sheed would win an NBA Title in 2004 with Ben Wallace, Rip Hamilton, Chauncey Billups and co.
After the core of the Detroit team was broken up, Sheed signed with the Boston Celtics, which is where he would wrap up his memorable career. Rasheed Wallace is the type of athletic personality that we love at pbsb. Yeah, he may have seemed like a jerk to some, but Rasheed Wallace was always a genuine person on and off the court. It has been said of Wallace that he would avoid post-game interviews to talk to his mom. Now how can you have animosity towards the guy after hearing that? He performed well on the court and backed up his talk. He was a star during every level of his basketball career. Players like Sheed bring an attitude and personality to sports that attract and create fans, like us.